How to Use a Capacitance meter? A capacitor is a bi terminal charge storing device which stores the electric charge between its two conducting plates which are separated by a resistance. This is the basic intro of a capacitor which summarizes its working in the shortest possible way. It is necessary to know about the functioning and working of a capacitor before going into the details of a Capacitance meter. Capacitor stores energy but it is not as efficient as other energy storing devices like batteries etc. The main reason for this is that it discharges quite quickly and that is one of the reasons that it is quite useful in applications where rapid energy is required. 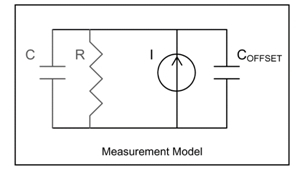 What is a capacitance meter? The ability of a capacitor to store electric charges is known as its capacitance, and that is what a capacitance meter is used for. A capacitance meter is used for measuring the capacitance of a capacitor. It measures the rate of charge storage and returns the value of capacitance in a digital fashion, usually but not always. Analogue capacitance meters are also available which give the reading in the form of a needle moving on a scale, but they are quite old and imprecise. Nowadays digital capacitance meters are being widely used because of their easy handling and reading, and increase accuracy. When a capacitance meter is connected with a capacitor it charges it with a preset value of current. When the capacitor is charged and discharged in this way by the capacitance meter, the capacitance meter measures the rate at which the voltage rises in that capacitor due to that current. The capacitance is then measured as a function of that voltage rise. The slower the voltage rises in the capacitor, the larger will be the value of its capacitance. Another method of measuring the capacitance through the capacitance meter is by passing a high frequency alternating current. When the alternating current is passed at a very high frequency the resulting change in the voltage is measured and the capacitance is determined as a function of that resulting voltage. Capacitors are being widely used now-a-days in applications where a fast energy source is required, due to the fact that they discharge energy at a rapid rate. Often a capacitor comes with an illegible capacitance such that it is not feasible to use without knowing its actual rating. 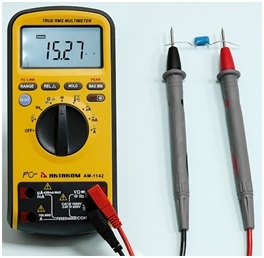 A capacitance meter comes in use for measuring the unknown capacitances in the circuit which is essential for the proper working of the circuitry. There are many other such measuring devices which are of extreme use in everyday electrical applications. To know more about them stay tuned and keep visiting us. or copy this trackback: http://engineering.electrical-equipment.org/others/how-to-use-a-capacitance-meter.html/trackback from your own site. Thanks very much for this post. It helps me with something to present to my class.